Inkshares is an online, crowd-funded publisher that helps aspiring book authors go from concept to reality. Our friends at Nerdist held a contest to publish new authors in an official Nerdist collection of sci-fi and fantasy novels. The books with the highest pre-orders, whether they reached their funding goal or not, were the finalists. All five received the same editorial, production, distribution, and marketing support as other Inkshares projects, including distribution to small stores, Amazon, Barnes & Noble, and Apple. Below are a couple of Inkshares books we suggest you give a read. 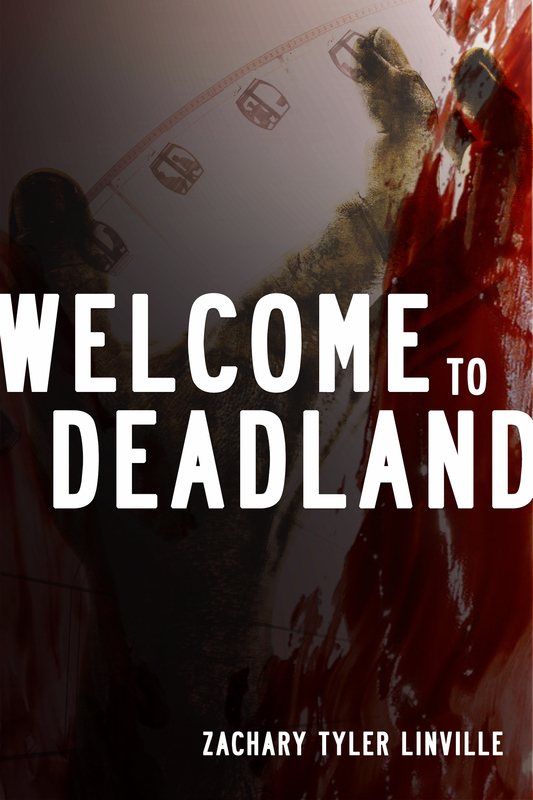 Welcome to Deadland by Zachary Tyler Linville was Nerdist’s grand prize winner. In this novel, Asher, Wendy, and Rico attempt to survive in an abandoned theme park after an infection changes most of humanity into monstrosities. The infected are troublesome enough, but the trio also have their own fears and personal demons to face. It’s curious, strange, and thought provoking all the while being a thrilling horror tale. The second book in Nerdist’s collection grabbed our attention at the words “Live Action Role Playing.” Done. Sold. Don’t care about the rest. We’re reading this. But you might appreciate a description. Highschooler Alison joins her friend TJ for a weekend of LARP adventure. The fun and games quickly turn into anything but when the creatures of the fantasy world become real. Now the adventurers must somehow complete their quest and find a way home. Do you really need much more than the title of Patrick Sheane Duncan’s book to be sold on this historical fantasy? Set in WWII era Romania, Professor Van Helsing and his daughter Lucy have gone to battle against Hitler’s Gestapo but find themselves unable to win the battle alone. So how is a vampire hunter supposed to fend off the Nazi forces? By unleashing the legendary vampire Dracula, of course. As a man (read: monster) who loves his country, Vlad the Impaler is more than happy to drink all the Nazi blood he can. Are you a writer, but don’t know where to start in the publishing world? Inkshares can help you too! You can easily submit your pitches online and Inkshares will help you develop your story with peer feedback, and even publish and print your book if you garner enough preorders from interested readers. Inkshares won’t do the work for you, but they’ll certainly give you a helping hand to make your literary dreams come true.